The notice that appears on the airline’s website when attempts are made to make bookings. 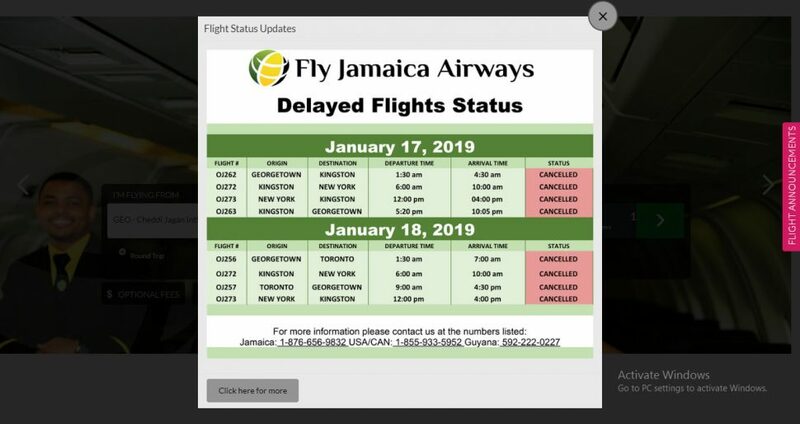 Although still grappling with fallout from the disruption of its flight schedule in wake of last November’s crash landing of one its planes at the Cheddi Jagan International Airport, Timehri, Fly Jamaica Airways is hopeful of resuming operations here in a couple of months, according to Chief Executive Officer (CEO) Captain Paul Ronald Reece. The embattled airline had said in February that it was making plans to resume operating by the middle of this month but there had been no official word to local authorities up to yesterday. 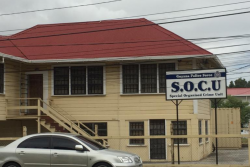 Director General of the Guyana Civil Aviation Authority (GCAA) Lt. Col (ret’d) Egbert Field yesterday told Stabroek News that the agency had not received any official word from the airline on its plans to return to the skies…..